One of the most unusual personalities on television is “The Box” - a walking, talking cardboard box representing the Progressive Corporation. It has been involved in all sorts of amusing scenarios, but in the latest appearance, we discover that The Box can sing. Who knew? I painted this imaginative vision as a young man back in 1978. The title One With Nature aptly describes the concept of the piece; however, much more can be said about it. The intent was to portray the natural world through the mind's eye with vivid clarity, reflecting the experience of a meditative, altered state of consciousness. Inspiration for the piece came from some of my interests in fields such as metaphysics, natural science, ecology, and biology. Fortunately, by that time my personal artistic style had developed enough that I could bring such an idea into a painted reality. 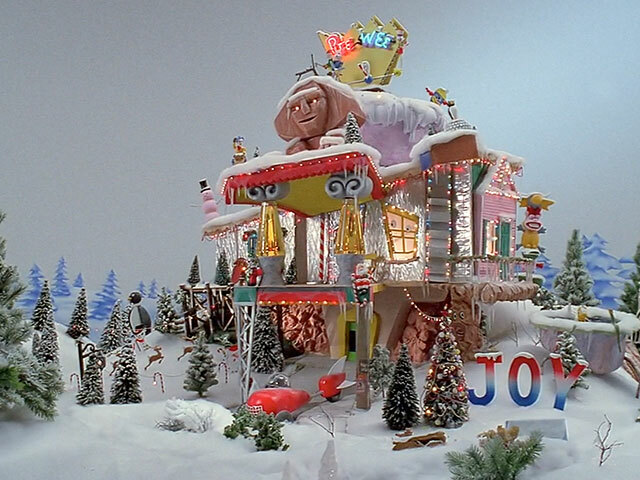 This year is the 30th anniversary of the creation of Pee-Wee's Playhouse Christmas Special, the opening sequence of which I had the honor of animating. It all started with an unexpected phone call from producer/director Prudence Fenton. Production was to start in just a few days and she was inquiring about my availability to shoot the stop-motion animation for the title sequence. Prudence also requested that I sculpt a clay fox and several other animals to animate and have ready immediately. I was more than willing but considering the unusually short notice, I could only create the clay fox puppet ahead of the shoot. Getting right to work, I wondered what I was getting myself into, and the project did have many difficulties, but my efforts paid off in that they resulted in an Emmy nomination! Earth Mother. Created with Rembrandt pastels on Mi-Teintes paper, 18 x 24 inches. This piece from 1989 was my first serious attempt at using pastels. By then, my career as an animator and visual effects artist had taken off; accordingly, there was little time left to pursue my personal passion of painting. I was determined to get a new project going and I began work on Earth Mother using acrylic paints, my usual medium. The painting was well underway when I became dissatisfied with the way it was turning out using acrylics so I decided to completely start over with pastels, an entirely new approach. In 2012, the toy company Mattel embarked on an ambitious reboot of their popular Max Steel franchise. This endeavor included an all-new CGI animated series with a cool graphic look by Canadian company Nerd Corp. Concurrently, promotional still pictures for the web were generated at Brain Zoo studios in Los Angeles where I was tasked with creating and rendering characters in dynamic poses on the computer. Many of the images required exaggerated perspective effects as is typical of comic book art. 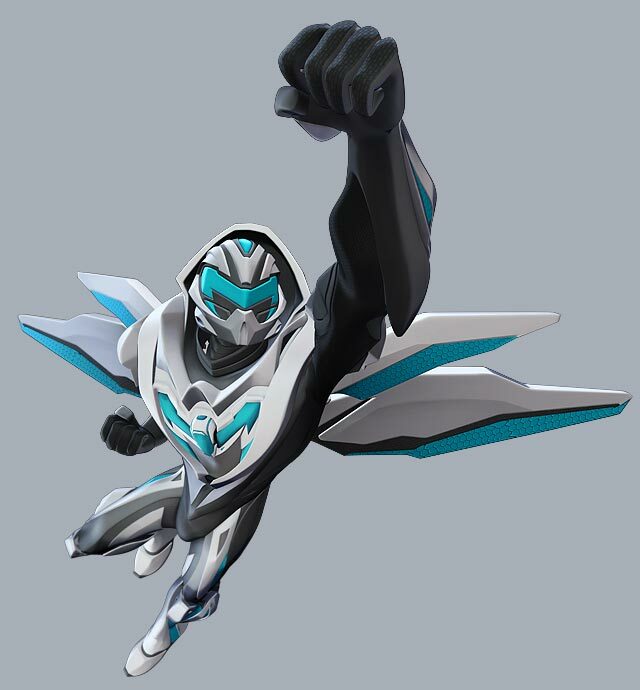 I had to use some trickery to achieve a superhero comic look with the 3D Max Steel characters! Since the late 70's, one of my favorite creative pastimes has been making time-lapse movies. While the technique is used to accelerate the movement of all sorts of things, my main fascination was with filming people and viewing the sped-up patterns of interaction that occur in crowded situations. Choosing the right sort of location to film time-lapse was key, and it occurred to me that shopping malls, with the social behavior that took place there, would make fantastic subject matter. 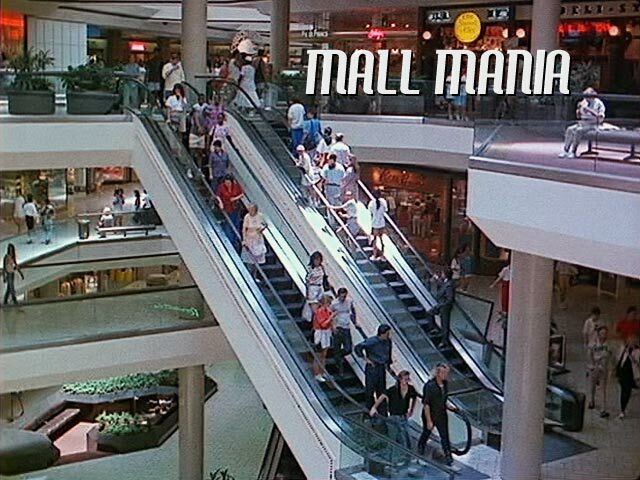 Accordingly, in 1989, I started to shoot my mall movie using basically no budget, a condition that came with my status as a "starving artist". Out of necessity, the project required guerrilla filmmaking tactics. 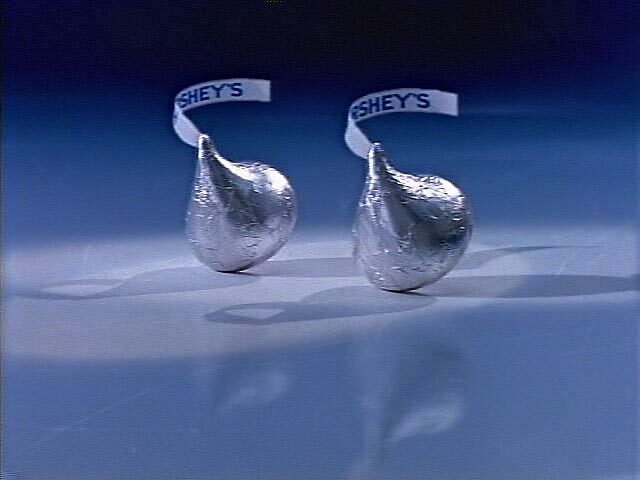 The Hershey's Kisses commercials have been a popular and very successful campaign, originally created via stop-motion animation in the 1990's and continuing to the present day with computer-generated imagery. The now defunct Colossal Pictures in San Francisco produced the earliest versions of these advertisements, brilliantly directed by Carl Willat. In 1995, Colossal, unable to find a local stop-motion animator who could handle their current Hershey's assignments, reached out to me. I was persuaded to travel from my home in Santa Monica to their San Francisco studio in order to animate two commercials, one featuring ice skating Kisses and the other spotlighting a snake charming Kiss. 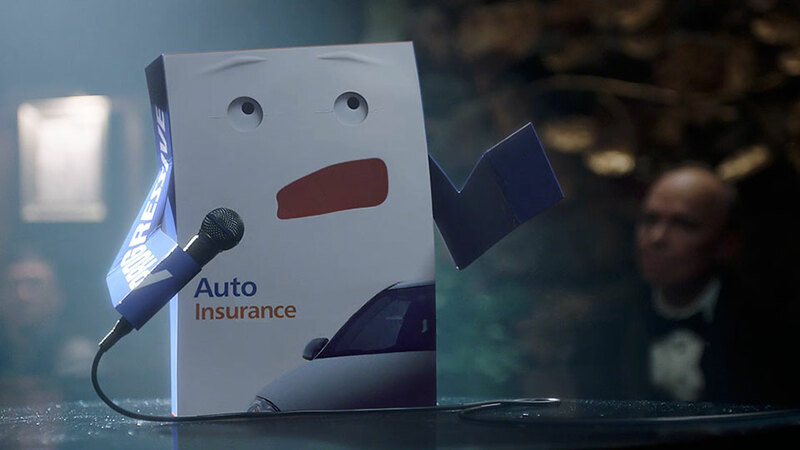 Both commercials were extremely challenging to create but the final results were incredible. 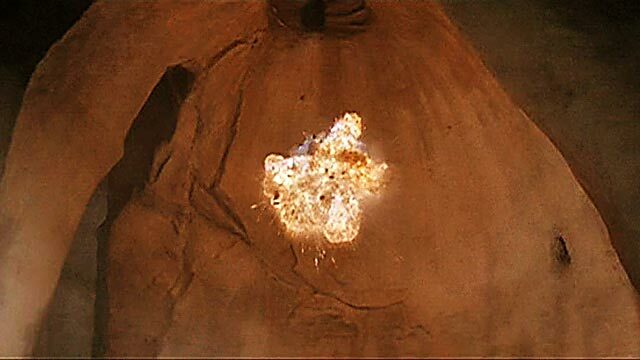 During the late 1990s, I worked for Walt Disney Feature Animation on their first computer-generated movie DINOSAUR. For that production, I worked as a supervising animator over Neera, the main character's love interest, and all of the juvenile dinosaurs. On Disney movies, supervising animators were made responsible for character acting performances; however, they had limited control over character design decisions which were made by group committee. I was unhappy with the final design of the juvenile iguanodons which, in my opinion, did not look as cute as they might have been. 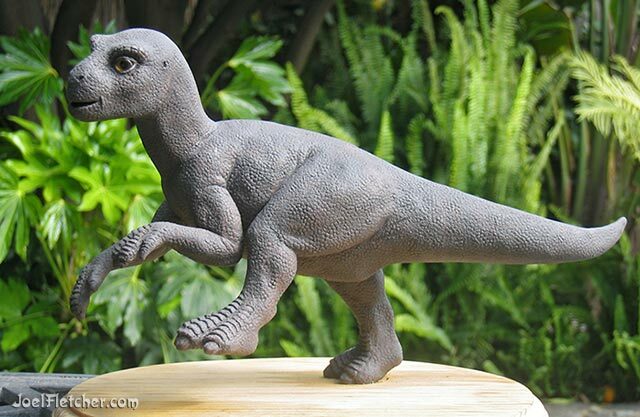 Because of this dissatisfaction, I was inspired to create a personal sculpture - my own interpretation of how the young iguanodons should have looked.